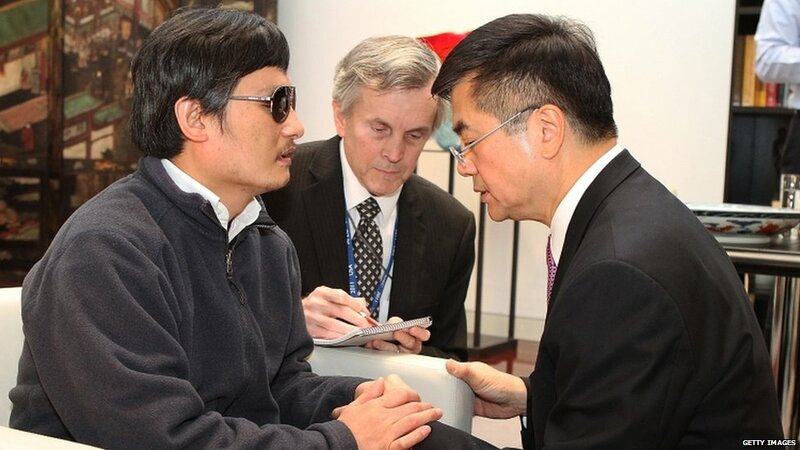 The dramatic escape of Chinese activist Chen Guangcheng to the US Embassy in Beijing has created a diplomatic crisis for both countries, even as their top diplomats hold annual trade and strategy talks. 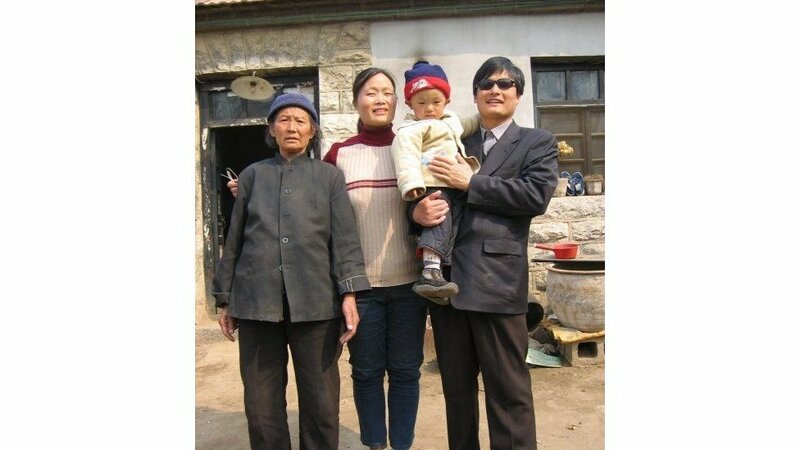 Mr Chen, shown here with his family in his home province of Shandong, campaigned for women forced to have abortions or be sterilised under China’s one-child policy. He was jailed for four years in 2006 for disrupting traffic and damaging property. 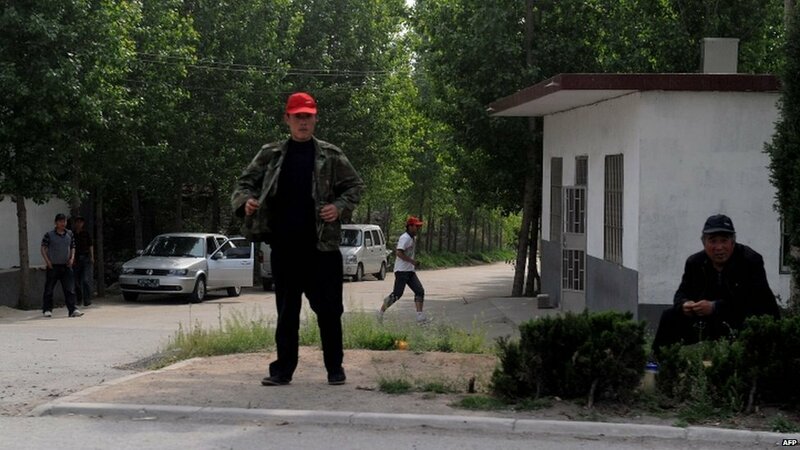 Released from prison in 2010, he was placed under house arrest, with security keeping watch on his house in Donshigu Village. 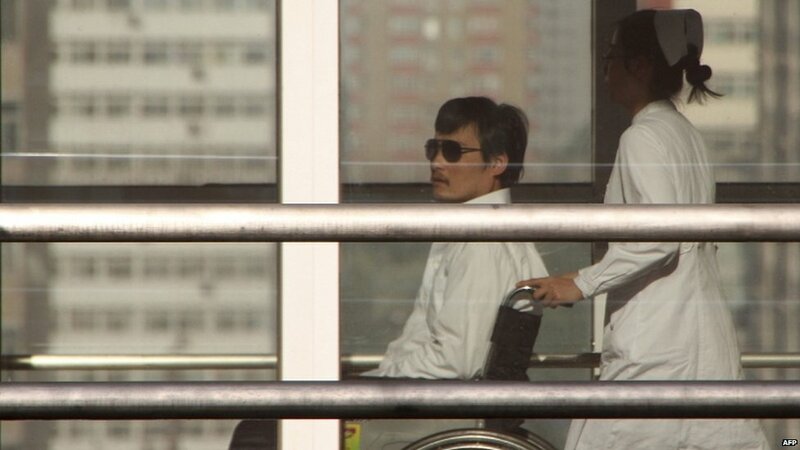 Late last month the activist, who has been blind since birth, escaped by pretending to be sick and then scaling a wall. Mr Chen entered the US embassy in Beijing, and Chinese and US officials quickly began high-level talks on his fate. News of his presence in the mission emerged on 27 April, putting the case in an intense spotlight. 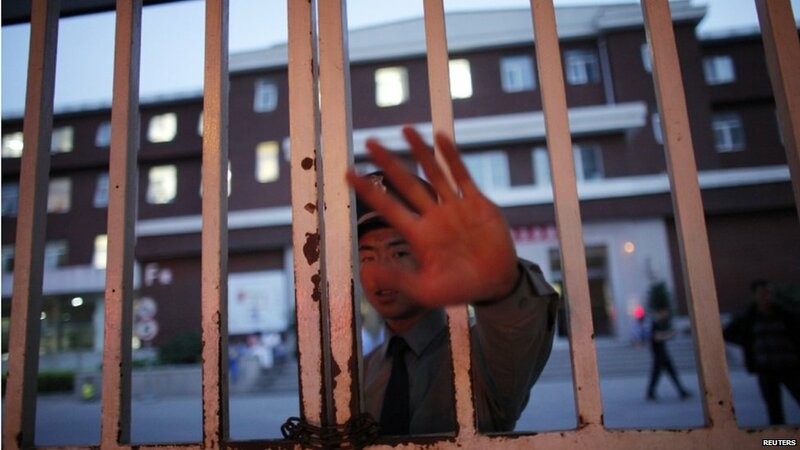 As Mr Chen appealed for help, China and the US began scheduled annual talks. 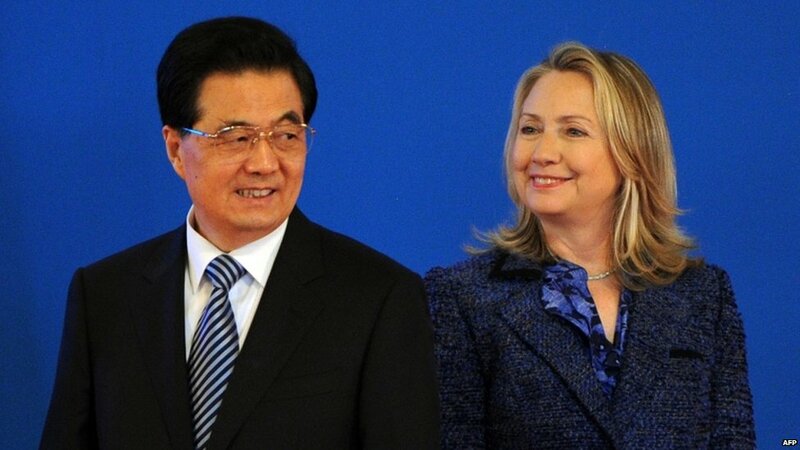 The dialogue, involving Chinese President Hu Jintao and US Secretary of State Hillary Clinton, had been intended to focus on issues such as North Korea and Syria. 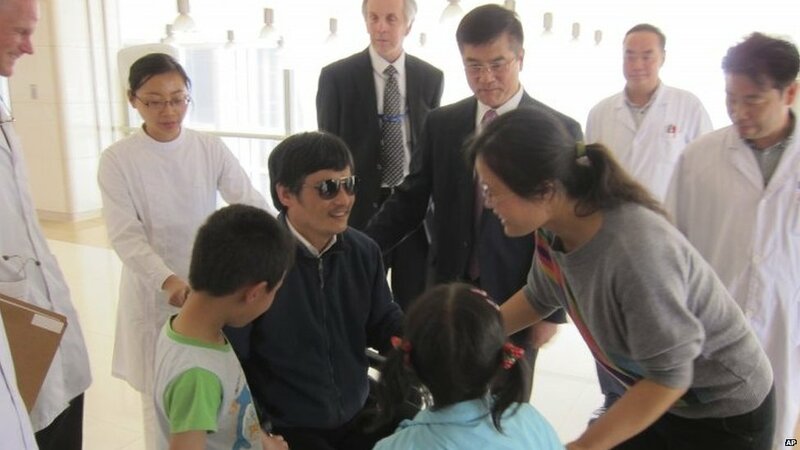 But the attention generated by Mr Chen's escape has cast a shadow over the talks. 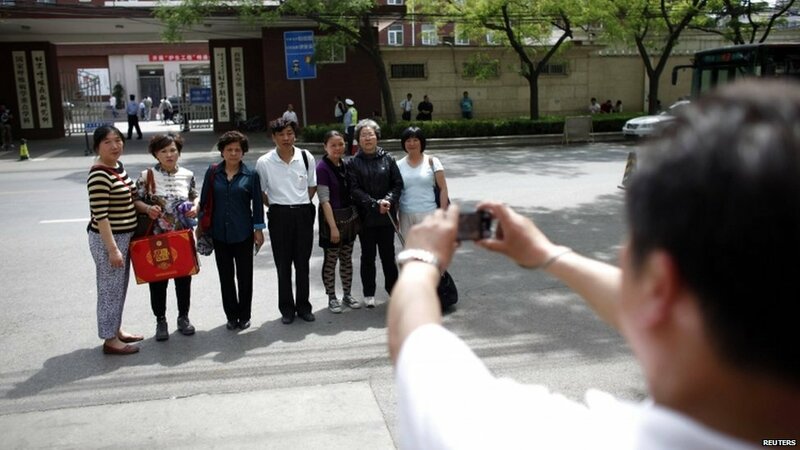 A steady stream of media and visitors have descended upon Chaoyang Hospital, hoping to catch a glimpse of Mr Chen. Even as words related to Mr Chen have been blocked on the internet, people have found a way to get around the censorship. His case is being widely discussed among Chinese internet users. With no solution mooted, Mr Chen telephoned a US Congressional hearing to plead for help to leave China with his family. 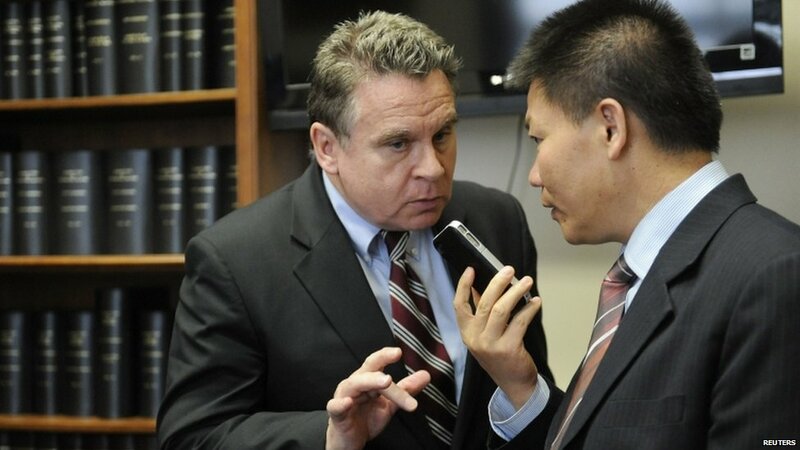 US lawmaker Chris Smith talked to Mr Chen on the phone, with help from ChinaAid Association founder Bob Fu. 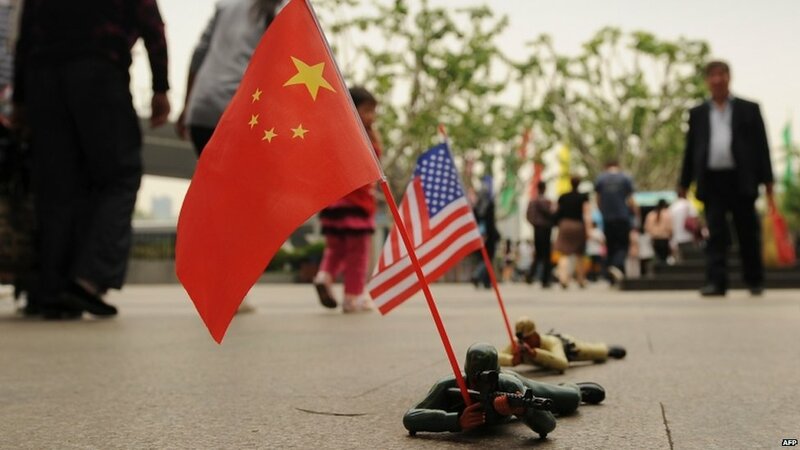 Both the US and China are working to emphasise strong ties, but correspondents say Mr Chen's case has presented them with a tough diplomatic challenge. China's Foreign Ministry says Mr Chen could apply to study overseas, potentially indicating a way out of the crisis.